Today’s shoppers rely on technology to decide where to shop. They Google what they are looking for. They look at the first page of results and maybe pick 2 or 3 options. Then they quickly peruse those websites and try find a point they connect on. Maybe it is the ease of use of the site, or the amount of products on the site. Maybe it is your location or your brand personality. Or maybe it is strictly just price. Finally, once they find a business they connect with, they look for reviews to see what other people have to say about that business. If you meet all of these criteria within 5.3 minutes they take to search – you now have the opportunity to make them your customer. So, how do you attract more customers to your website or retail store? Make sure all of your information is clear across the web. Name, address, hours. Make sure there is no conflicting information that could confuse a potential customer. Clear information about your store or brand is the first step to building a customers trust and ultimately brand loyalty. 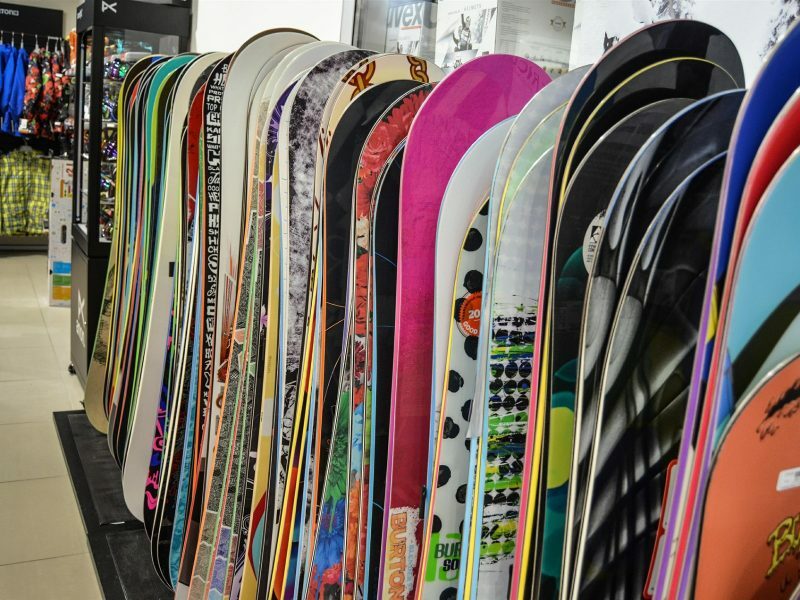 With so many choices out there, skiers and riders need reasons to shop with you. Do you have a marketing strategy in place that positions you to be the url they click on or the door they walk through? Maybe you offer personal boot fitting with a certified Pedorothist. Maybe you have the latest Wintersteiger automated ski tuning machine and offer the highest quality ski tuning. But how do they know? What is the reason(s) your customers walk in your store? What differentiates you from your competition and makes you unique? Unless your customer knows how you are different from your competition, they’ll probably shop with your competition. Do you have a logo? Do you use the same colors and fonts in all of your marketing materials? Would someone be able to tell an ad is yours without even seeing your name? While it’s not absolutely necessary for all businesses to homogenize their marketing to the point where they don’t even need to put their name on it – it does work very well for others. The key to a cohesive brand message is a single logo, set of colors and fonts. As well as a personality and online voice that matches what they will find in your store. Your social media marketing should match the look of your website. And your website should match the feel of your store. If you want them to think your store is a disheveled mess, go ahead and use a different color and font on every ad. And use lot’s of emojis too! What makes your business unique? Are you successful at telling your brands story? Unless you can pinpoint what makes your business unique in a world of homogeneous competitors, you cannot target your sales efforts successfully. Next Post: Do You Care About Customer Service? Love the story and would like to chat a bit more.